There are many triple A, huge, story-driven games out there that are perfect for picking up when you want to really get engaged and immerse yourself into that world. However, you don’t always feel like doing that, and sometimes just want a casual game that you can have fun with for as long as you’re playing it. 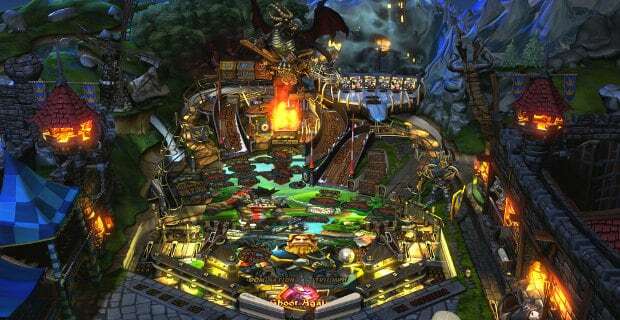 That’s where Pinball FX3 comes in, as it is the newest version of the Pinball FX franchise coming from Zen Studios. The developer is pleased to announce that Pinball FX3 is coming to all major platforms soon and that means that both Xbox One and Windows 10 PC gamers will have a chance to compete for the highest scores on the leaderboard. Some might even be old enough to remember the days when pinball was played physically in pubs and arcades, but even if they miss that experience, that doesn’t mean that they won’t love the new Pinball game. It comes with a lot of additions on top of what Pinball FX2 offered, and it’s pretty safe to assume that it learned from its mistakes. According to the developer, the new pinball game will be a great place to hang out for both competitive players and causal players. The game itself will be tailored for a community experience in which people compete against each other and even compete in tournaments, all for the glory of being crowned master… pinballer? The game will feature an intense multiplayer element but it will also provide a single player component that will help new players get used to the mechanics and concepts behind the game. It will be a great learning tool for anyone that is looking to get good at the game before challenging veterans and other newbies to a glorious match of pinball. The implementation of multiplayer support will definitely be the talk of the town, as many people will want to compete with or against their pals. “Pinball FX and Zen Pinball (as it’s called on PlayStation) have been serving players for years and years, and the time has come to go next-level and take a major step forward in the pinball evolution. Pinball FX3 will now be the Zen supported pinball platform on all console and PC platforms”.